Anyone suspected, can be arrested without charge for up to 21 days. Pre-trial detention is extended from 180 to 290 days. Numerous provisions on repression and prevention, including a legal basis for impeaching IS militants returning from Iraq and Syria. 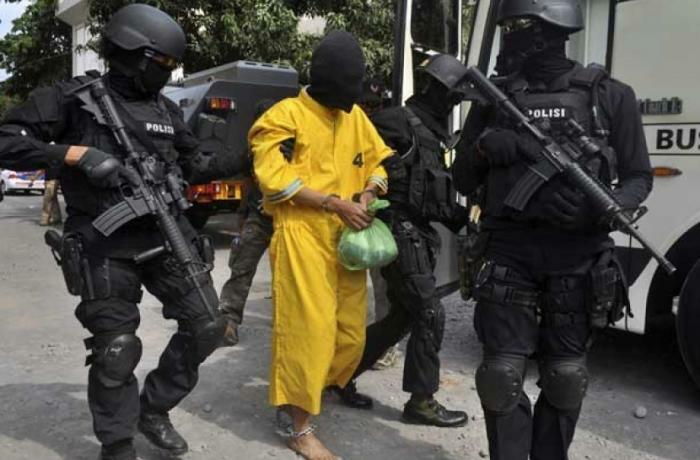 Jakarta (AsiaNews / Agencies) - Almost two weeks after the attacks on Christian churches in Surabaya (East Java) and after years of protracted discussion, the Indonesian parliament has approved a revision of the law on terrorism. It replaces the current law, in force since 2003, and allows the authorities to carry out preventive arrests and detain terrorist suspects for longer, based only on preliminary indications. Anyone suspected of planning a terrorist attack can now be detained without charge for a maximum of 21 days. The provision extends the current seven-day limit. In the past, this had often forced police investigators to release suspects while investigations and the formulation of the allegations were still underway, prior to final detention. It is now extended from 180 to 290 days, 200 of which will be assigned to investigators to prepare an investigation dossier. The public prosecutors will be granted 90 to prepare an accusation to be presented in court. The new legislation is part of the extensive changes to the Indonesian counter-terrorism law, which President Joko Widodo proposed at the beginning of 2016. The resolution was accelerated after the suicide bombings of May 13 against the Christian community of the capital of East Java, carried out by militants of Jamaah Ansharud Daulah (Jad) and claimed by the Islamic State (IS). The new law punishes anyone who is a member of a group declared a "terrorist organization" by a court, even if the person has not carried out a concrete planning, an act or an attack. "Anyone who is a member or recruits other people - establishes the legislation - risks a minimum of two and a maximum of seven years in prison. Founders, managers, officials or anyone who controls the organization a minimum of three and a maximum of 12 years ". Lastly, the approved text includes numerous provisions on the repression and prevention of terrorism, including a legal basis for imputing the militants of IS coming back from Iraq and Syria.